Peter Rowland Catering at Mt Duneed Estate can tailor any wedding experience from large numbers down to very small group weddings. 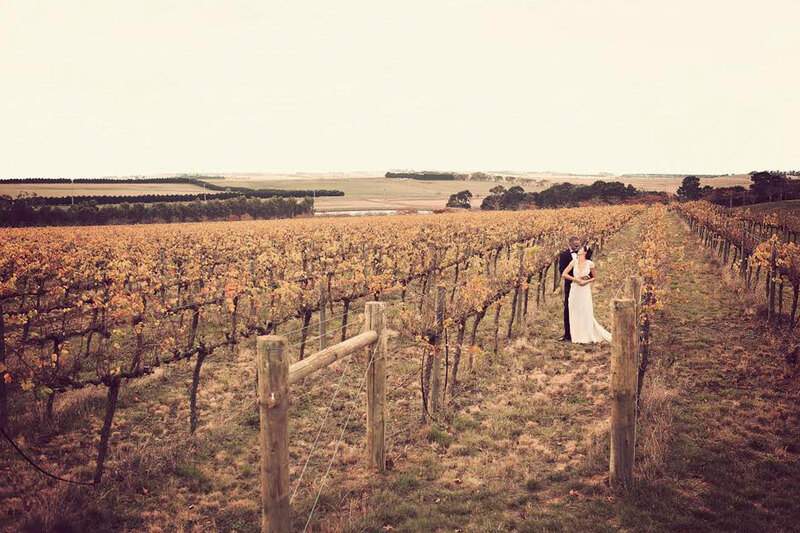 With a beautiful backdrop of vines and olive trees, Mt Duneed Estate is the perfect location for a couple’s festivities. 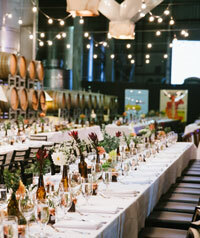 Up to 400 people can dine and dance the night away in the Barrel Hall which is the original winery and has industrial charm with accents of the barrels and vats. Guests can also enjoy a reception in the more formal and intimate Vineyard Room which overlooks the front of the estate’s vineyard and the rolling Barrabool Hills. The garden bar serves as the perfect place for pre-reception drinks, while the olive grove serves as the ultimate secluded ceremony spot. However, the options are endless, with the Peter Rowland team happy to work with the bride and groom to tailor their nuptials. The food is created by executive chef, Daniel Duve, who loves a challenge and can work to any food preference or dietary requirement. Couples can choose to have a menu tasting at Mt Duneed Estate prior to their festivities, allowing them to select their delicious menu for on their special day. For those couples that are looking for an extra touch of fun, the team at Peter Rowland can also recommend and assist with accommodating lolly and whiskey bars, photobooths or blackboard calligraphy. When it comes to wedding planning, brides and grooms can also get advice on our local suppliers and even special rates for accommodation, to ensure a perfectly seamless big day.